Having students share their work with their peers and discussing it is a valuable part of learning in any classroom and content area. So how can you and your students share what they have created with the class? Below we have provided some of the available options for you. 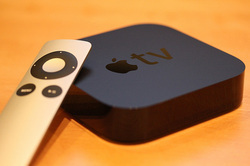 If you have an Apple TV and wifi, AirPlay is a valuable tool that can be used in the classroom. 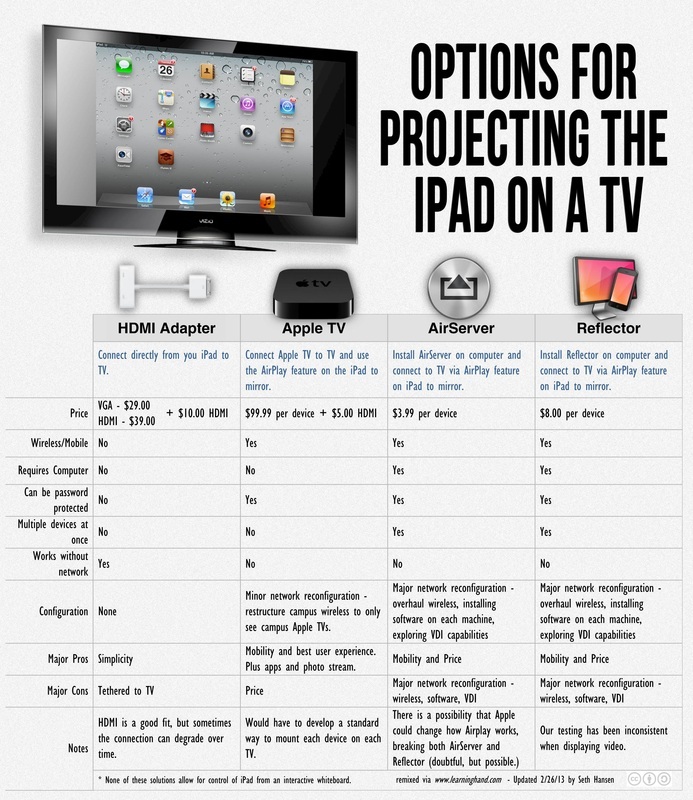 It allows for whatever is on individual iPads to be mirrored on to a projector, HD television or interactive whiteboard. Teachers can then show students what is on their iPad and students can share their work or creations with the entire class.The possibilities are endless! The video below explains how to set up airplay for classroom use. Note: If you do not have an Apple TV or wifi, connector cords can be purchased that connect iPads to projectors, etc for viewing purposes. There are other options available to teachers. The chart below compares some of these different options. A full review of these options is available via this link to Edudemic. One point worth noting is that while content from the iPad can be mirrored onto an Interactive White Board (IWB), the touch capabilities rest with the iPad and not the IWB.